On November 18, 2016, antidumping petitions with the U.S. Department of Commerce and U.S. International Trade Commission, regarding certain hardwood plywood panels from China. The petitioner is the american Hardwood Plywood manufacturers: Columbia Forest Products, Commonwealth Plywood Inc., Murphy Plywood, Roseburg Forest Products Co., States Industries, Inc., and Timber Products Company. The antidumping law imposes high tariffs to counteract imports that are sold in the United States at less than “normal value.” These imports may benefit from unfair foreign government subsidies. Before the duties to be imposed, the U.S. government must determine that there is “material injury” (or threat thereof) on local factories. Importers are liable for any potential antidumping duties imposed. In addition, these investigations could impact plywood consumers, by either increasing prices or decreasing supply of hardwood plywood. The U.S. industry filed antidumping petitions in September 2012 on hardwood plywood from China. That time the U.S. International Trade Commission (ITC) issued a negative final determination on injury, so the DOC did not impose extra tariffs on this product. The products subject to this investigation is hardwood and decorative plywood. Hardwood and decorative plywood is a flat panel composed of two or more layers or plies of wood veneers in combination with a core. The veneers, along with the core, are glued or otherwise bonded together to form a finished product. A hardwood and decorative plywood panel must have at least either the face or back veneer composed of one or more species of hardwood or bamboo. All hardwood and decorative plywood is included within the scope of this investigation, without regard to dimension (overall thickness, thickness of face veneer, thickness of back veneer, thickness of core, thickness of inner veneers, width, or length). The main plywood exports from China to USA is birch plywood, UV treated plywood, red oak faced fancy plywood, and so on. All hardwood and decorative plywood is included within the scope of this investigation regardless of whether or not the face and/or back veneers are surface coated. Examples of surface coatings like UV treated, wax, epoxy-ester finishes, moisture-cured urethanes, and paints and stains that cause the grain, texture or markings of the wood to be obscured. 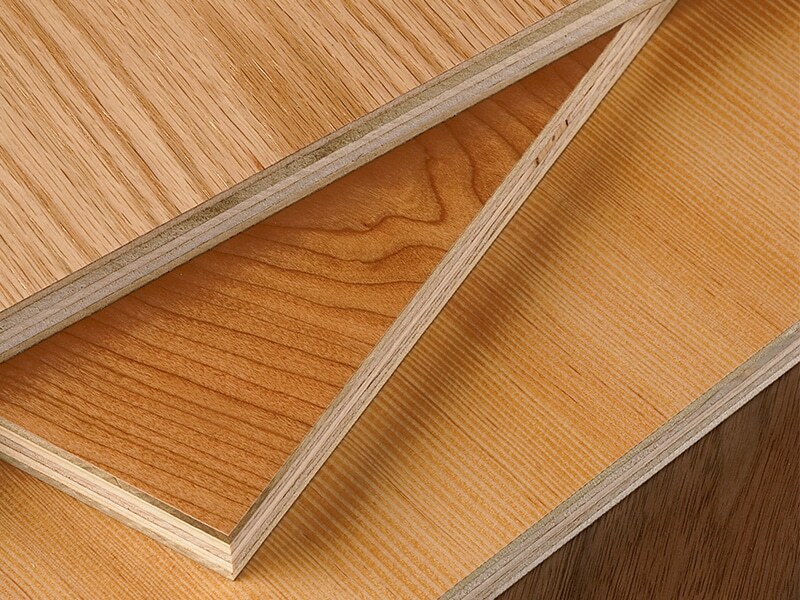 Hardwood and decorative plywood may be coated through the utilization of paper, aluminum, high pressure laminate (HPL), MDF, medium density overlay (MDO), and phenolic film. Additionally, the face veneer of hardwood and decorative plywood may be sanded, smoothed or given a “distressed” appearance through such methods as hand-scraping or wire brushing. All hardwood and decorative plywood is included within the scope even if it is trimmed, cut-to-size, notched, punched, drilled, or has underwent other forms of minor processing. Petitioner alleges a dumping margin of 105.94 percent.